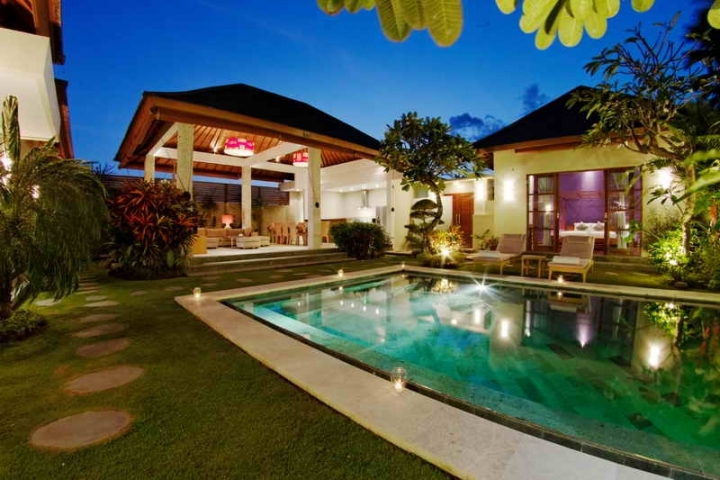 A beautiful modern Balinese style villa is now for sale. 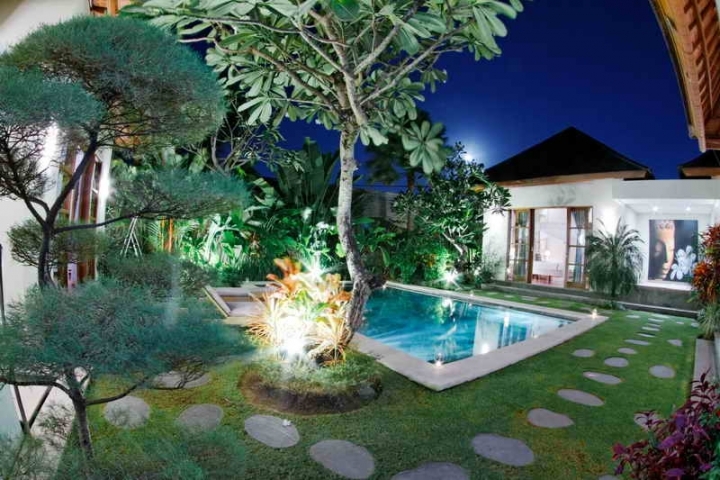 Sitting on 5 are of land and consists of full furnished three luxurious bedrooms. 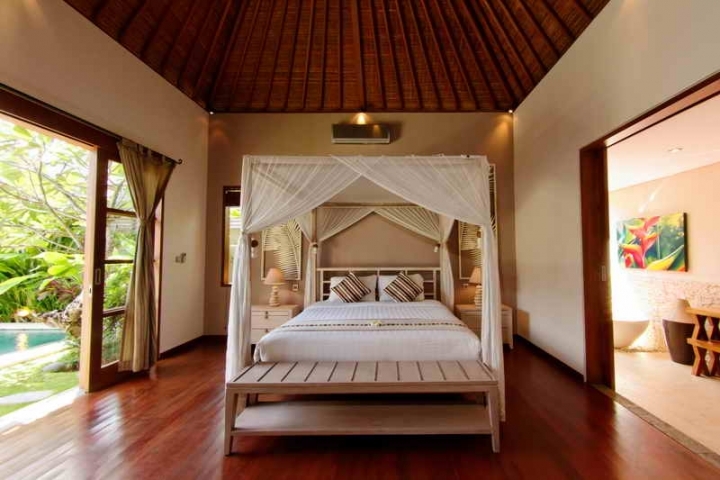 Each room has their own tropical bathroom, bathtub and shower with hot and cold water. 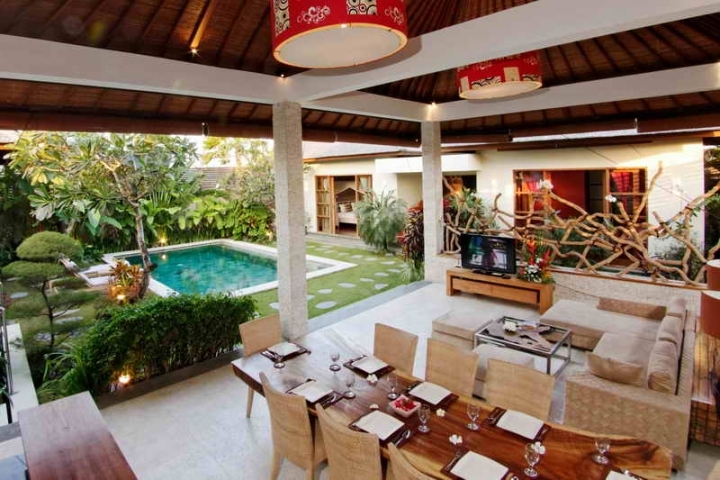 The villa features a modern kitchen, a cozy open style living and dining area, entertainment facilities and fast fiber optic internet. Enjoy your day with relaxing and bath in sunshine around your swimming pool with 2 sun chairs. 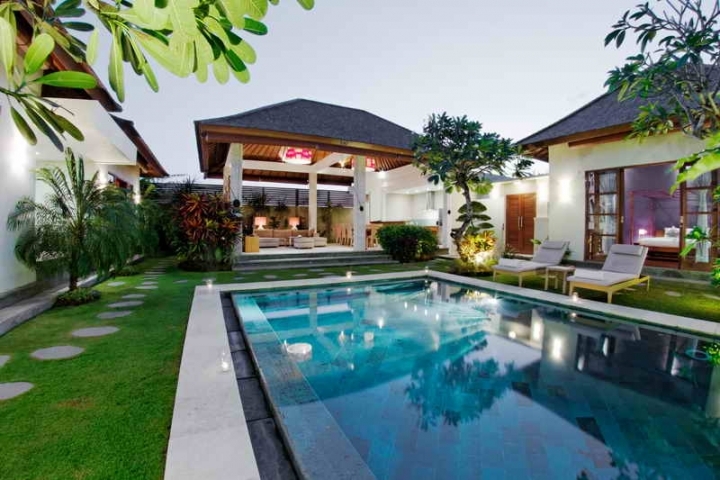 Villa is design a tropical relaxing, comfortable and stress free environment for the people who is stay at this charming home. 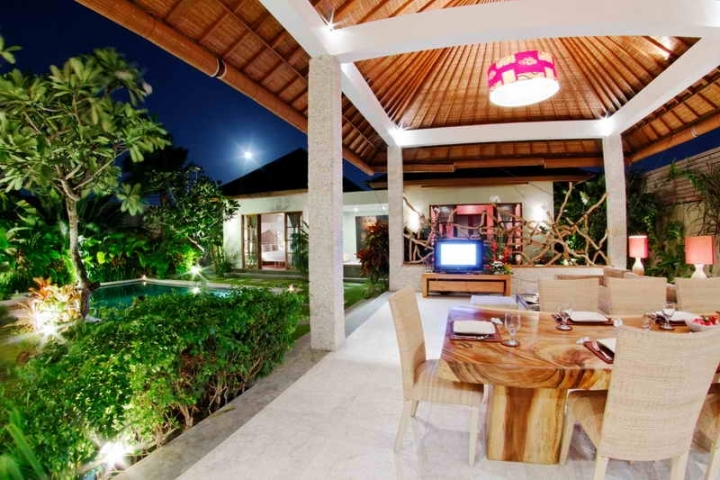 Villa is situated on a charming and quiet street, only a short walk and within minutes away to Seminyak beach. 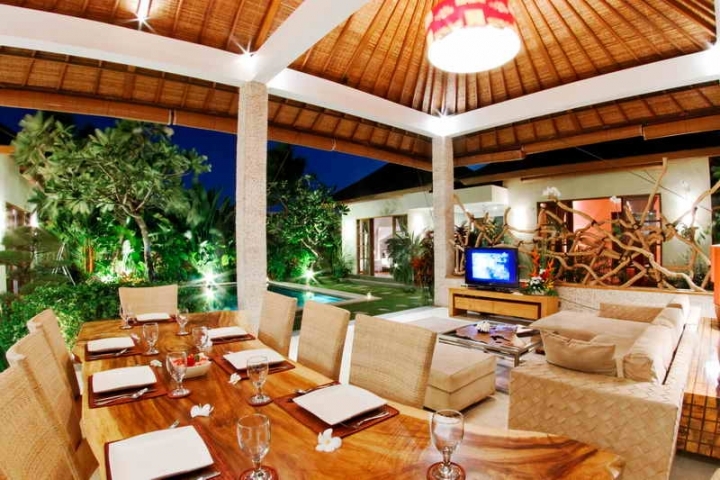 You can enjoy a special Balinese living in the island of Gods. Price Leasehold in € 350.000.